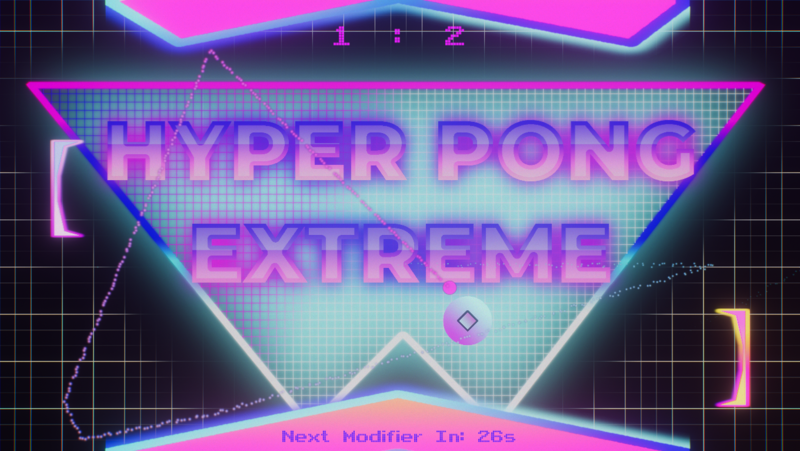 Hyper Pong Extreme is a Merger of Pong and Flappy bird crossed with a richly detailed 80's Disco aesthetic made in 3 Days for the GDL- May Jam. In classic pong style, you and your opponent move your paddles up and down to stop the ball from going past your paddle. The twist? 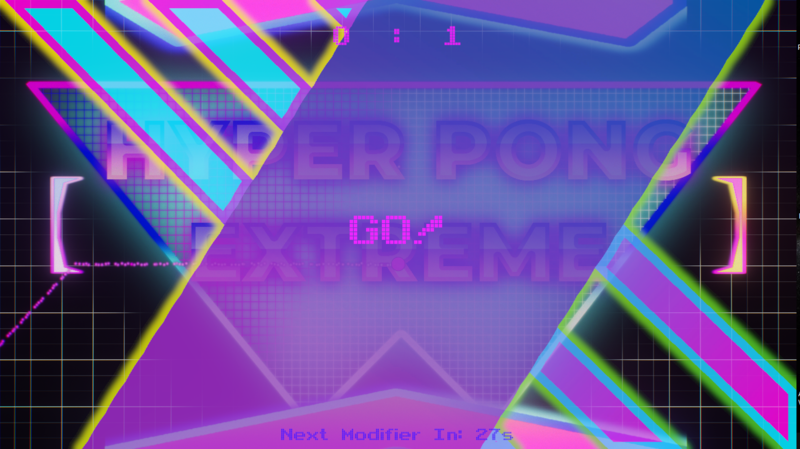 your paddles behave like the bird from flappy bird! It's a mixture of and old classic with a new(ish) craze to create a unique new game where you must use your own skills, judgement and an assortment of wierd and interesting modifiers to be the first to score 5 points. 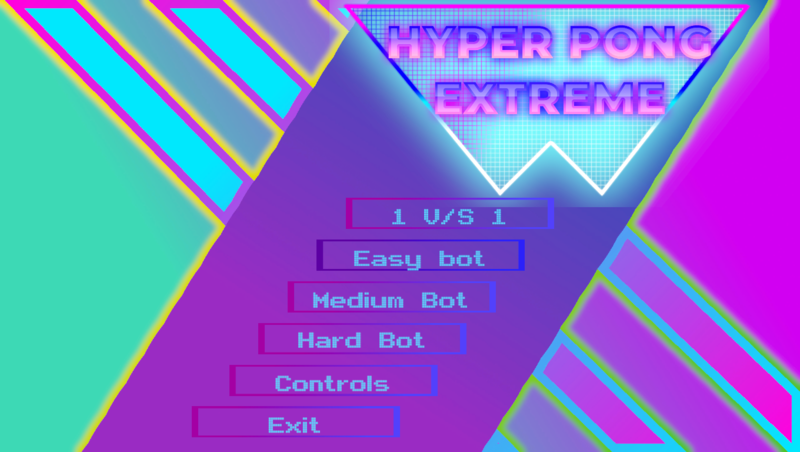 Play with a friend or perhaps try yourskills against one of the 3 bot difficulty levels to see where you stand. 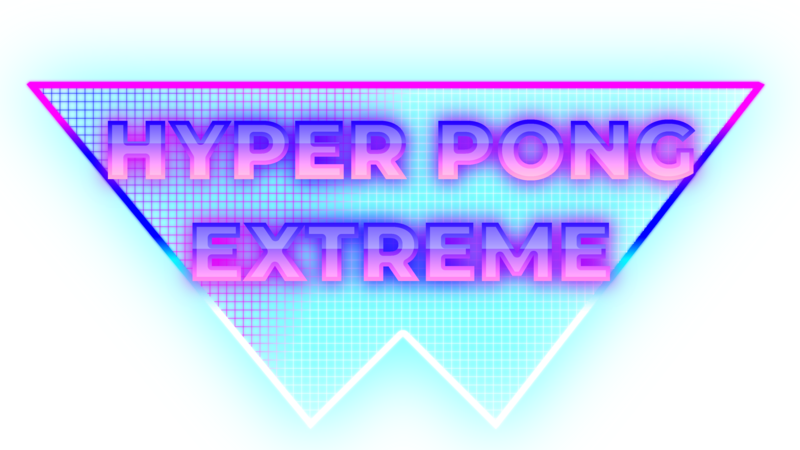 Download the file ( HyperPongExtremeStandalone.zip ). Use a tool like 7Zip or WinRar to unzip the files to a convenient place like the desktop or anywhere you want. Drag and drop this shortcut on your desktop for easy access!